The story of the Baesso family began in 1895. ( Read more by clicking here). Many years ago was common to use packing presses with several grates, clothes and jacks. Many people were even able to build a press like that themselves with the materials they had around household. Everyone knows how troublesome it is to deal with all these grates and clothes in your garden on a windy and rainy autumn day with wet clothes on. You need to place the grates exactly on top of each other so that the entire thing stays in place and does not bend when pressed. But thanks to Fratelli Baesso's juice presses you can forget about that hassle and enjoy more simple way of pressing juice. Fratelli Baesso F series juice presses are specifically for pressing fruit. 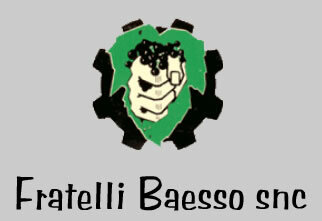 For decades, Fratelli Baesso has proven to be the best in this field. Fratelli Baesso's juice extractor racks are made of durable stainless steel. Beech wood baskets of the presses are disassembled in two parts and are easily demountable and cleanable. (The model F25INOX basket is made out of stainless steel and is not detachable.) The baskets must be filled with pre-shredded fruit. The tilting frame allows easy access to the basket and makes it easy filling it with a crushed fruit. By clicking on 'Read More' button, you can compare the technical details of Fratelli Baesso juice presses.